Those interested in joining the program can fill out an application below or download a form which can be completed and sent to the Lincoln Park Police Department. 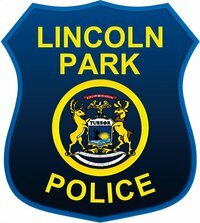 By submitting this online application to Lincoln Park’s Neighborhood Watch Program, you are consenting to background investigation by the Lincoln Park Police Department, and you allow the Lincoln Park Police Department the use of any information you provide. Citizens Patrol Watch (CPW) periodically patrols the streets, removes graffiti, and performs other watchful functions in the city. Community Emergency Response Team (CERT) members are trained in basic first aid, minor fire suppression and other skills to assist in emergency and non-emergency situations. with more information on CPW. with more information on CERT. I am consenting to background investigation by the Lincoln Park Police Department and I allow the Lincoln Park Police Department use of any information that I have provided in this form.